We saw a sign like this in Osaka and it stood out to us. 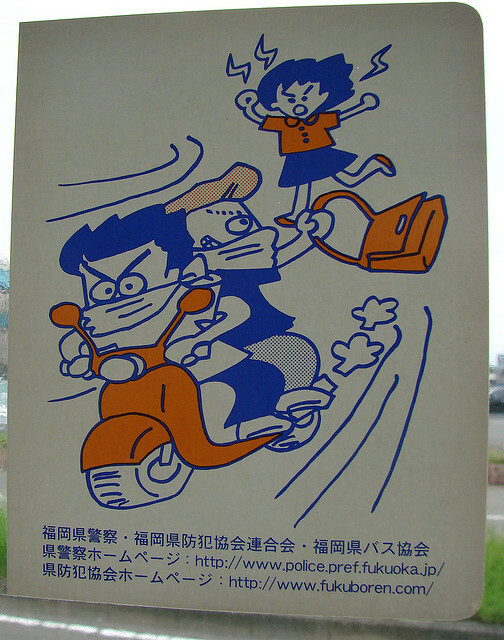 It is the only place we've traveled in Japan where crime seemed to be a big enough deal to post a warning. The nation as a whole feels very safe. The crime rate is low. That doesn't mean it's non-existent, but for the most part I feel safe walking alone at night (even in Tokyo and Osaka), the kids are safe to go out alone etc. It's never good to be lulled into a sense of false security. I do know two personal friends who have had their ipods taken from their cars in front of their homes....but then again in America I would never have left the ipod in the car.